Vincent Asaro: Acquittal for reputed mobster accused of planning Lufthansa heist immortalized in Goodfellas. The theft of $6 million in cash and jewels from a vault at JFK Airport was immortalized in Goodfellas. Bonanno crime family leader Vincent Asaro is escorted by FBI agents from their Manhattan offices on Jan. 23, 2014. 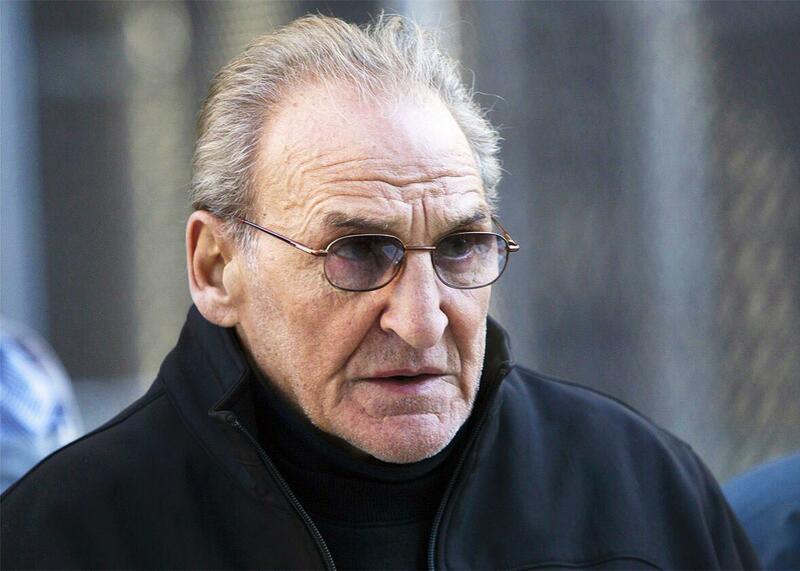 Alleged New York mobster Vincent Asaro, who was arrested in June 2014 in connection with the 1978 Lufthansa heist depicted in Martin Scorsese’s Goodfellas, has been found not guilty on all counts. Asaro, who was accused by federal prosecutors of helping to plan the snatching of $6 million in cash and jewels from the cargo vault at JFK Airport, stood trial for three weeks in Brooklyn prior to jury deliberations, which began on Monday and concluded with Thursday’s verdict. Asaro, a member of the Bonanno family, was cleared of a long list of crimes in addition to the Lufthansa heist, including the murder of a man in 1969 whom he and his associate Jimmy the Gent suspected of informing on them to the police. The case against Asaro revolved around the cooperation of the 80-year-old’s cousin, Gaspare Valenti, who became an informer in 2008 and started wearing a wire in conversations with Asaro. According to the New York Post, Asaro “at first looked puzzled as the ‘not guilty’ verdicts were recited in Brooklyn Federal Court. Then he leaped up from his seat with a giant smile.” The New York Daily News reports Asaro “slammed his fist on the defense table and kissed his lawyer on the lips four times” after hearing the verdict.